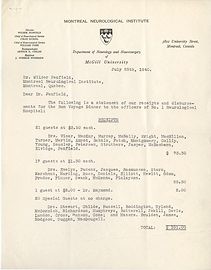 Letter from Herbert N. Shenton to Wilder Penfield, June 12, 1935. 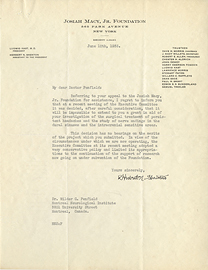 Letter from Herbert S. Holt to Wilder Penfield, July 31, 1934. 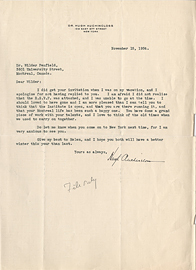 Letter from Hugh Auchincloss to Wilder Penfield, November 15, 1934. 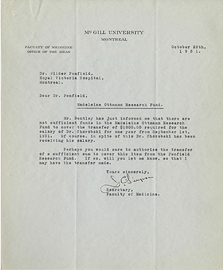 Letter from Ian Mackenzie to Frank Cyril James, January 4, 1943. 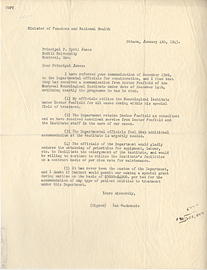 Letter from J. Norman Petersen to Wilder Penfield, July 25, 1940. 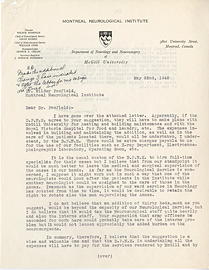 Letter from J. Norman Petersen to Wilder Penfield, May 22, 1942. Letter from J. Simpson to A.P.S. Glassco, July 30, 1931. 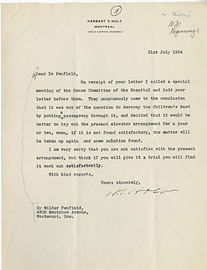 Letter from J. Simpson to Wilder Penfield, July 30, 1931. 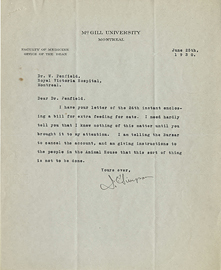 Letter from J. Simpson to Wilder Penfield, June 25, 1930. 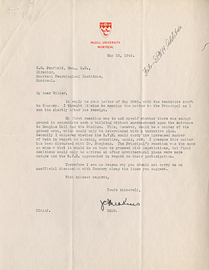 Letter from J.C. Meakins to Wilder Penfield, May 22, 1942. 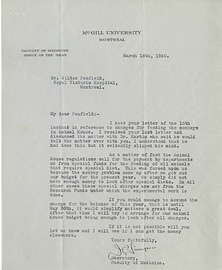 Letter from J.C. Simpson to Wilder Penfield, March 18, 1930. 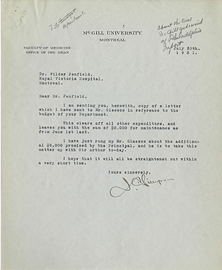 Letter from J.C. Simpson to Wilder Penfield, October 28, 1931. Letter from J.F. 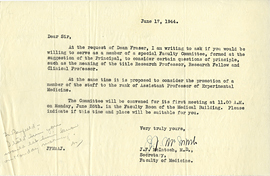 McIntosh to Wilder Penfield, June 17, 1944. 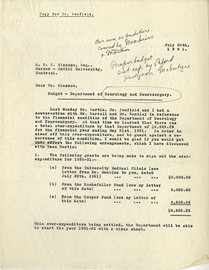 Letter from J.F. 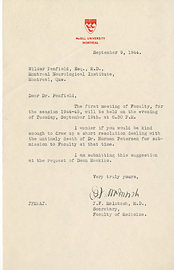 McIntosh to Wilder Penfield, September 9, 1944. 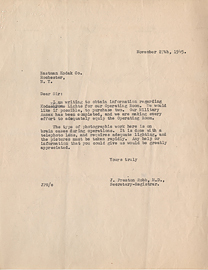 Letter from James Preston Robb to the Eastman Kodak Company, November 27, 1945.